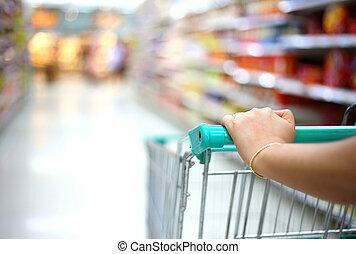 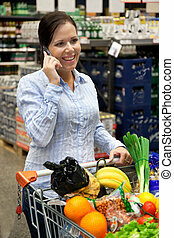 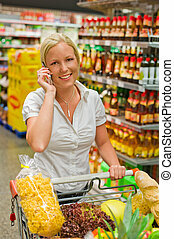 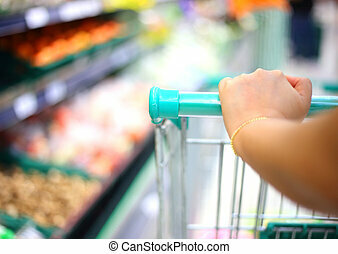 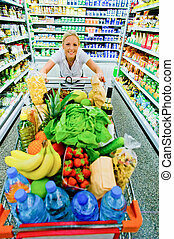 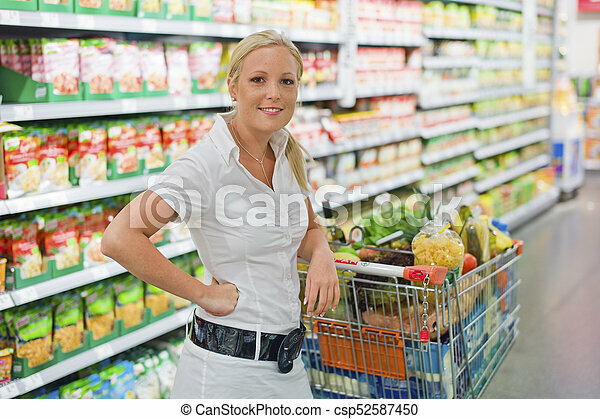 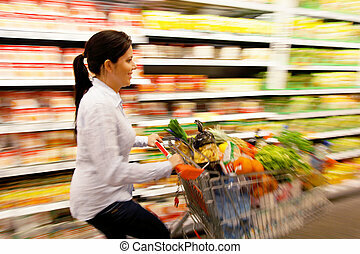 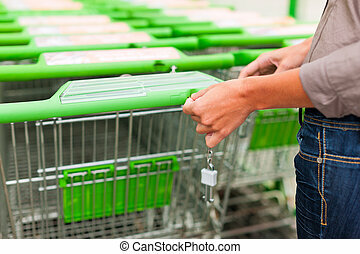 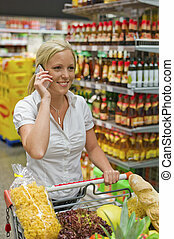 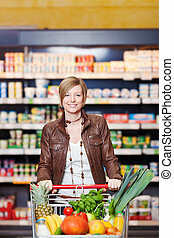 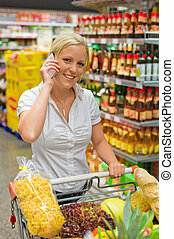 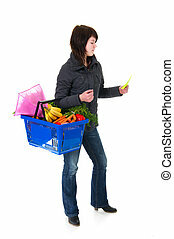 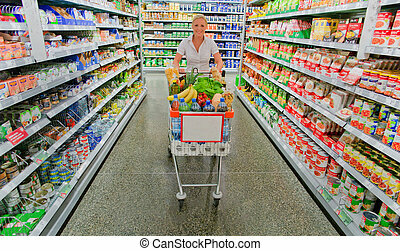 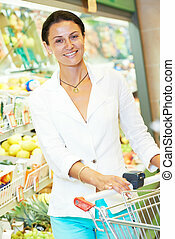 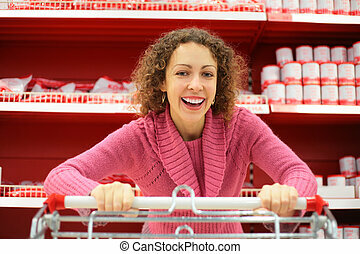 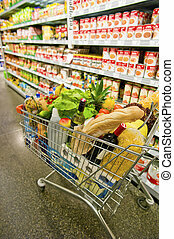 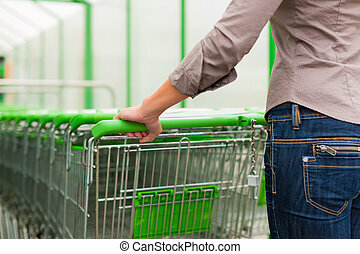 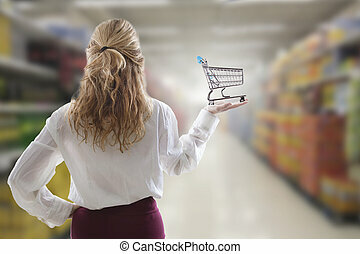 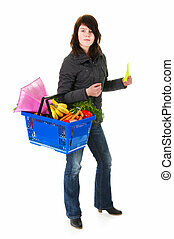 Woman shopping with cart in the supermarket. 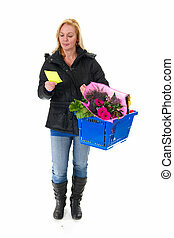 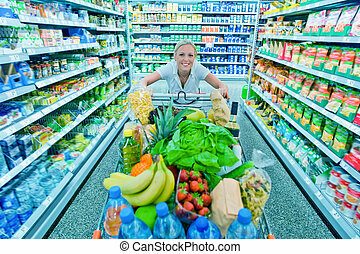 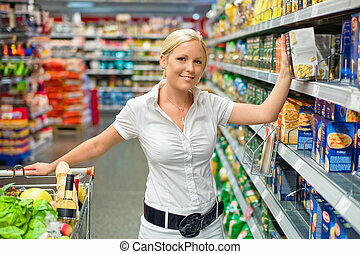 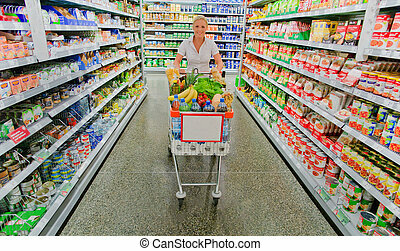 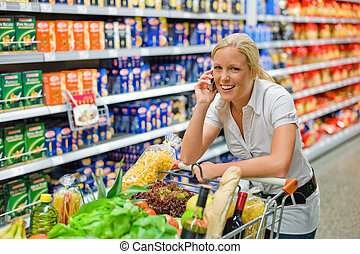 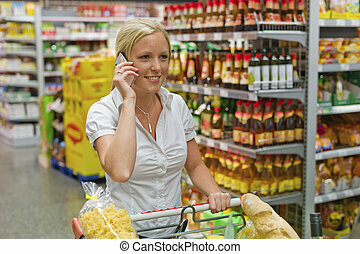 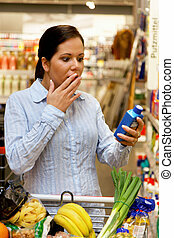 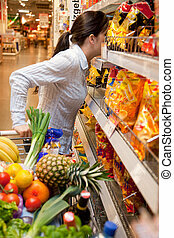 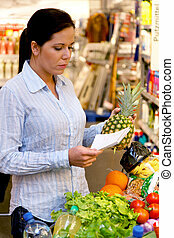 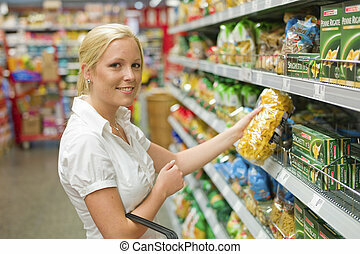 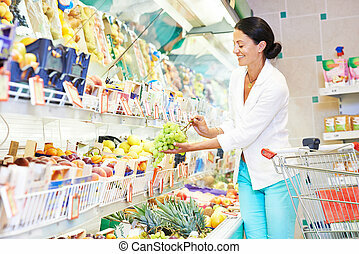 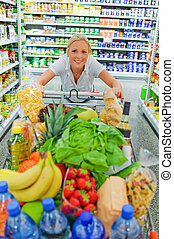 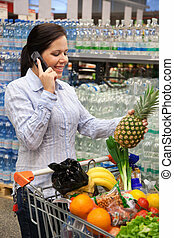 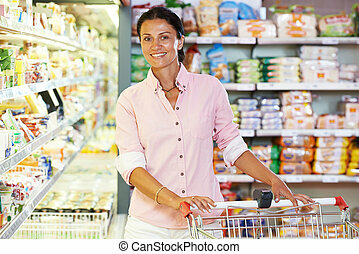 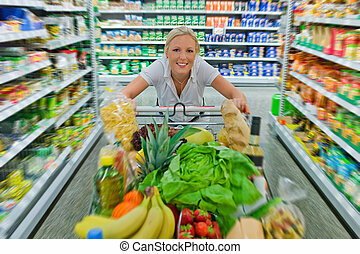 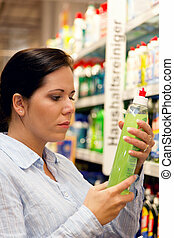 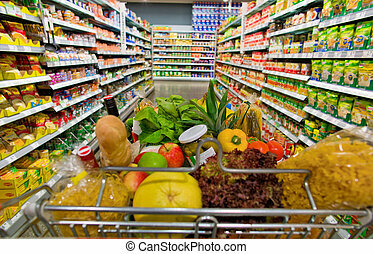 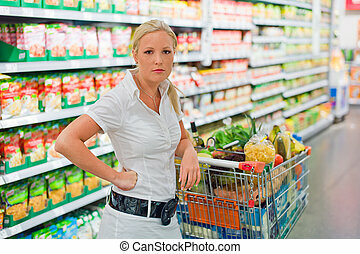 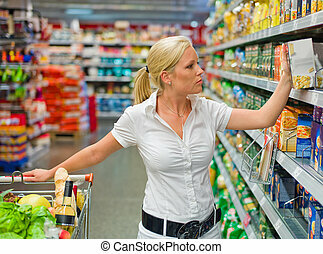 A woman buying groceries in a supermarket. 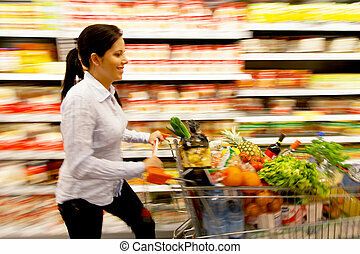 everyday life of a housewife. 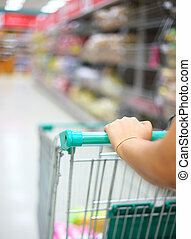 a shopping cart is a aisle of a supermarket in the stacks. 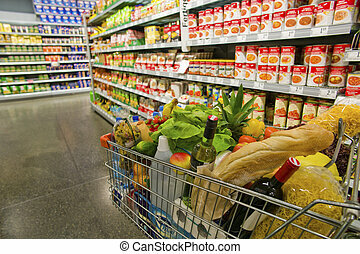 a shopping cart is in an aisle of a supermarket in the stacks. 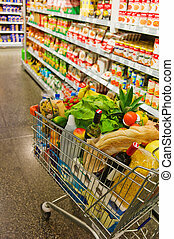 a shopping cart standing in a corridor of a supermarket in the stacks.